The machine applies multi-functional special-purpose frequency converter matching with mechanical fine cheese winding. It turns from the original mechanical transmission mode to single-spindle, single frequency converter, single motor drive mode so that it is easy in installation and debugging and has less wearing parts. The diversified functional allocations fulfill the technical requirements to make tight and loose winder from harmonious flexibility, hardness and density after the raw materials' turning into winder. We stably enhance the internal quality of the winders. It is an ideal equipment for the weaving, knitwear, thread-making, dyeing and filigree manufacture industries etc. We integrate all the electronic components control units etc. into one, so that it results in easy wire connection, reduced parts and convenient assembly and disassembly. One frequency converter spurs on two motors so that main motor and overfeed motor can independently set the functions. It reaches the technological requirements of inter coordination. The major setting functions are constant thread speed, variable thread so on. We solve the degradation winders and skeins for thread, and keep harmonious internal and external elasticity, flexibility and density. Dialectial	 Independent motor controls dialectical transmission shaft. Looking for ideal Cone To Cone Precision Bobbin Winder Manufacturer & supplier ? We have a wide selection at great prices to help you get creative. All the Cone to Cone Bobbin Rewinding Machinery are quality guaranteed. 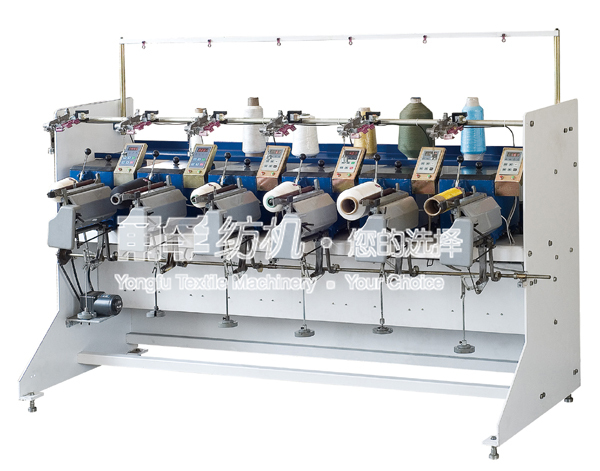 We are China Origin Factory of High Speed Fishing Net Thread Winder. If you have any question, please feel free to contact us.